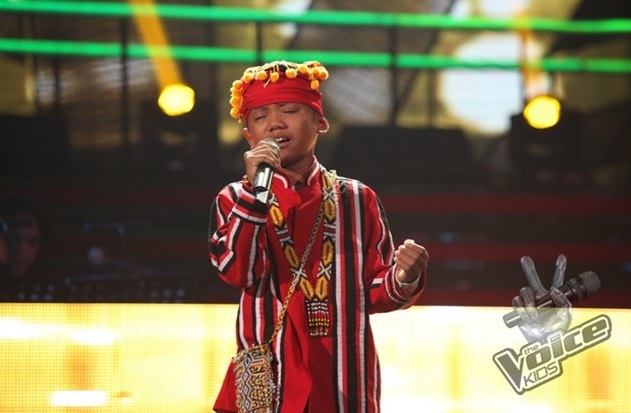 MANILA, Philippines - Team Lea's Reynan Dal-Anay wowed the crowd on his heartfelt performances during the grand finals of 'The Voice Kids' Philippines Season 2 on Saturday, August 29, 2015 at the Newport Performing Arts, Theater, Resorts World Manila, Newport City in Pasay City. Reynan,11 sang with Mr. Pure Energy Gary Valenciano on the duet with a guest artist round of the grand showdown. "Grabe, perfect ang combination ninyong dalawa. Nanggaling talaga sa puso," Coach Sarah Geronimo commented. Aside from Reynan, other artists fighting for the grand title are his teammate Esang de Torres and Team Bamboo’s Sassa Dagdag and Elha Nympha. Text VOICE REYNAN and send to 2366 for all mobile subscribers. 1 vote per artist per sim is allowed. Tariff is P0.50 per vote for Globe, TM, Smart, Talk 'N Text, ABS-CBN mobile subscribers and P1.0 for Globe postpaid subscribers. Is Reynan Dal-Anay the next “The Voice Kids” grand champion? The title holder will win a recording contract from MCA Music Inc., a music instrument package, a family utility vehicle, a house and lot worth P2 million, P1 million cash, and a P1 million trust fund.